This has to be one of the worst dressed events I have ever featured on my blog. The only person who’s head-to-toe look I liked was Kristen Cavallari, with her cute strapless ombre Rami Kashou Fall 2008 dress, peachy heels, and Mary Norton clutch. In a room full of young girls, I am surprised they lack any real style. Heidi Montag’s Stella McCartney dress is to be expected, which is a short and breast revealing. Her hair looks like a bird is about to nest in it, but her Louboutin’s and Bottega Veneta Impero satin clutch are cute. Stephanie Pratt polka dotted dress is cute, but why did she decide to cover most of it with that huge clutch? Tamara Mowry’s purple colour co-ordination works really well. I love the draping effect on her dress. Please can someone give Holly Montag a one-way ticket back to idiot island. Between the make-up, gold nails, red heels and animal print dress, I am not sure which is more nauseating. 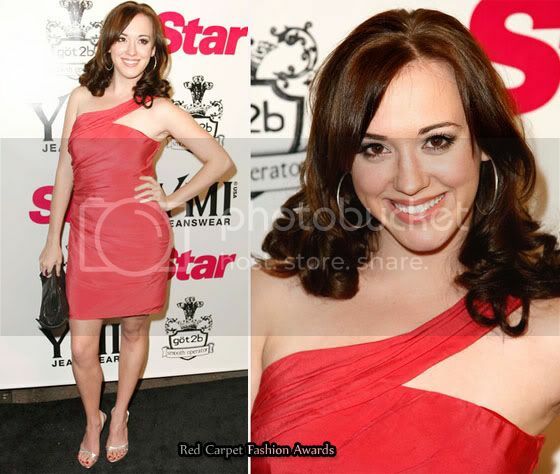 I don’t know if it’s Andrea Bowen’s pose, the dress, or the camera angle, but something’s wrong. 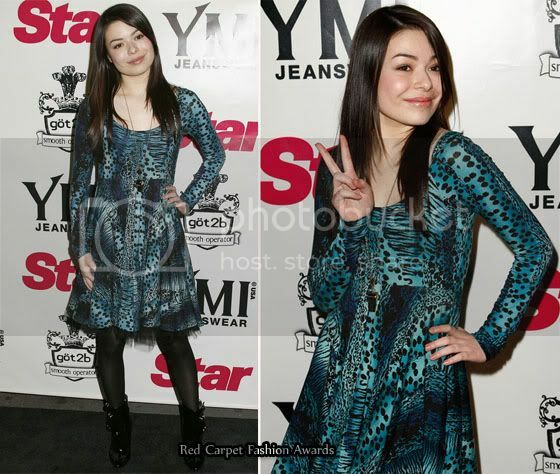 Miranda Cosgrove has a lot of personality, and I feel this animal print dress is showing that off, so I can’t be mad at her. Her boots look amazing too. I am so surprised that singer Jewel make the effort put on a LBD for this D list event, it hardly look like it was worth hobbling out of bed for.